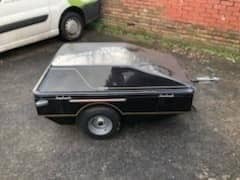 I have finally got a trailer, at this moment coming across the Irish Sea courtesy of a friend. I have a towbar collected at K Fest and it came wired with a 7 pin socket which I will not be using. 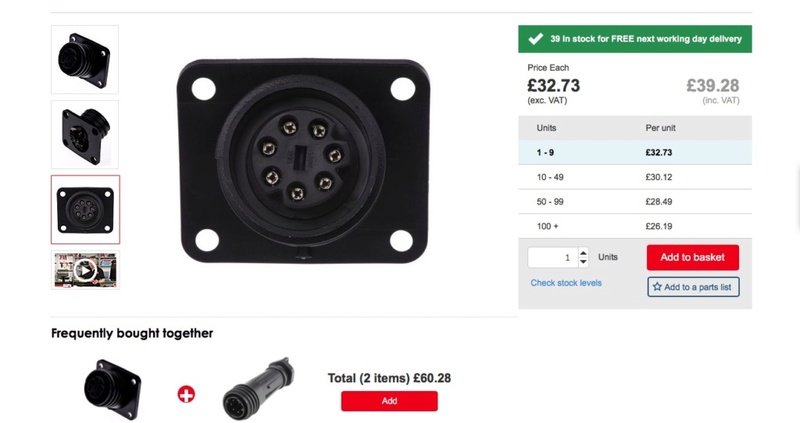 Looked at the wiring and ok with that but looking for advice on plug connector between modified bike wiring and trailer. It will be used in all conditions and therefore needs weather resistance. I would like to use on of the marine type plugs that have a sealing ring which is screwed to clamp the plug together against the seals. Any thoughts? Don't over-egg the cake Olaf. 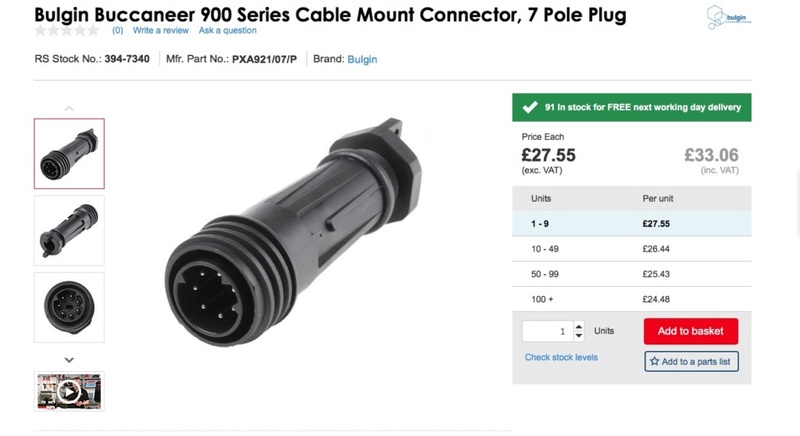 Those seven pin plugs are fitted to millions of cars and vans and do the job day in, day out. If anything goes wrong, they're easy to get hold of. When I had a Rigid Inflatable Boat (diving, water skiing, fishing etc) I swore by Bulgin Buccaneer connectors for connecting power and/or coaxial cables to the VHF radio, Fish finder, GPS and magnetometer. I used bulkhead sockets on the boat centre console and plugs on the device cables. Bulgin do all sorts of different inserts to suit many applications and they are waterproof when either connected (plug in socket) or when disconnected, with caps fitted. They made it really easy to fit and remove the devices when the boat was not being used and avoided corrosion of the contacts. Perfect for a very wet, marine environment. 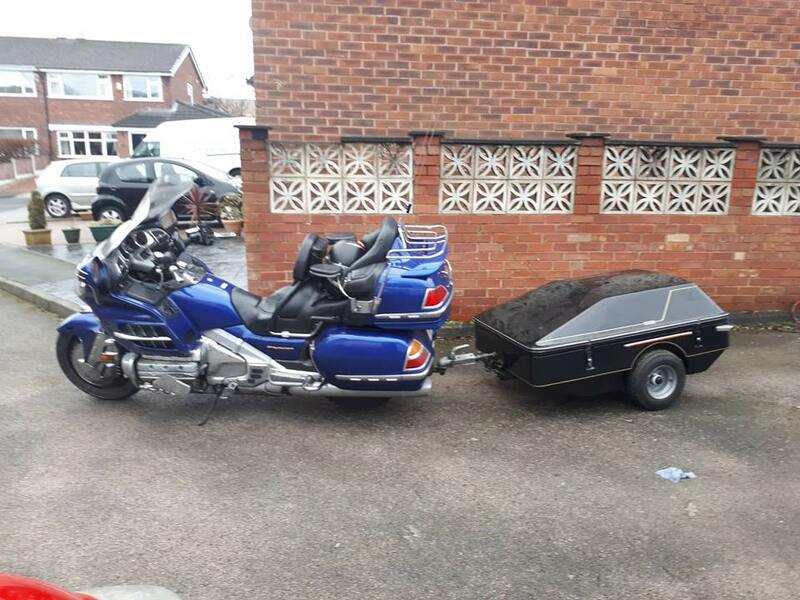 However, I'm with Dai for a bike trailer application - use the standard auto trailer sockets and plugs, they are much cheaper and are designed for the wet road environment. I am half with Dai as I have a shed full of those 7 pin fittings mainly because of the car trailer ,no matter what I do wires go wrong as in contacts but I suppose I can do it in my sleep. I like the marine fitting for another reason, they work and being non standard is a slight disincentive to someone else hooking it up and going off with it. @92KK 84WW Olaf wrote: I like the marine fitting for another reason, they work and being non standard is a slight disincentive to someone else hooking it up and going off with it. The only bodies in there will be dead ducks, probably in confit form!